The young people who came together for the first time March 24 to learn more about the administrative side of their mission, appeared ready, willing and able to roll up their sleeves and begin working to help transform the mental health system for young people in California. Although they met for the first time, they displayed camaraderie and compassion as well as a keen understanding of the issues young people face in accessing mental health services. More importantly, they showed their passion for finding new and creative ways to change the system. Eleven transition age youth attended the Mental Health Services Oversight and Accountability Commission’s Youth Innovation Project Planning Committee meeting in Oakland and two others called in via telephone. The Committee members were selected from hundreds of applicants from across the state. 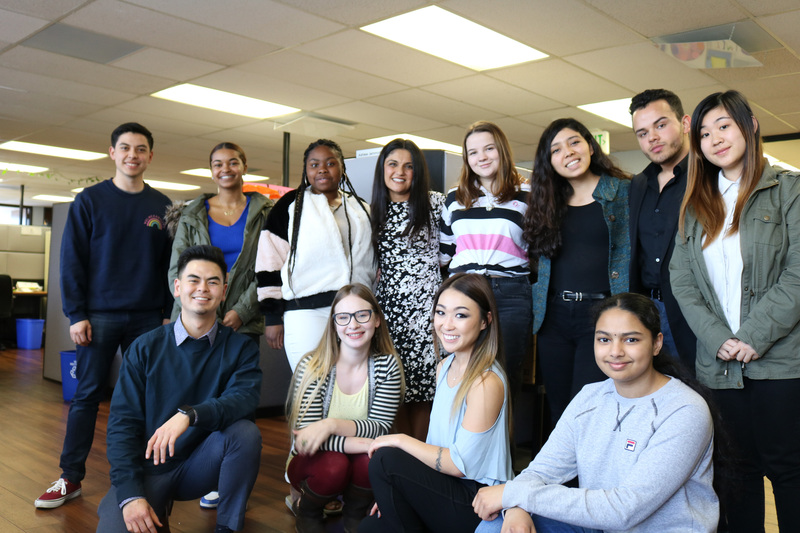 They include: Juan Acosta, Michel’le Bailey, Marisol Beas, Matthew Diep, Gabriel Garcia, Kylene Hashimoto, Kalyn Jones, Megan Larson, Samskruthi Madireddy, Jeanavy Perez, Courtney Potts, Carina Romero, Amanda Simon, Celeste Walley and Irene Wei. The youth Committee convened because the Commission wanted to ensure youth voices were included in any discussions about youth mental health. Commission staff led by Project Lead Shannon Tarter, Sharmil Shah, Angela Brand and Anna Naify presented information about the Commission, the Innovation Project, the Mental Health Services Act, travel requirements, Bagley-Keene Open Meeting Law and other orientation topics. The Committee’s charge is to find innovative ways to help youth access the services they need. The Committee members talked about their passion for transforming the mental health system to better address the needs of young people. Other committee members described the effects of trauma, anxiety and stigma on youth mental health. Some spoke about their own experiences and their motivation and desire to help others. After a day spent on training for their new roles, Committee members said they are ready to start working.